The functional training craze has been sweeping the gyms for a few years. It is almost impossible to get through a workout without tripping over Bosu balls, Kettlebells, ropes or a combination of all of these contraptions. Most gyms now resemble playgrounds often seen in kindergartens as opposed to a place where bodies are built and fat is lost. So what is functional training and is there any value in it? 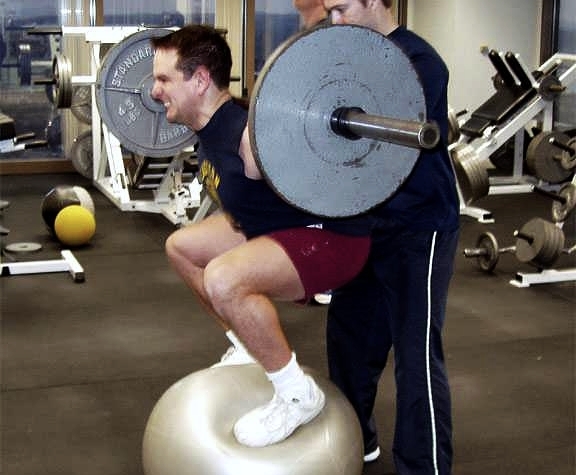 Functional training stems from the premise that conventional weight training (for example: barbells, dumbbells and machines) is not challenging the body to perform in a “proprioception enriched environment” (insert cool hand motion here). Basically, this means that conventional training neglects aspects such as balance and flexibility, and instead focuses solely on strength and muscle gain as well as endurance. Therefore, we must have senior citizens jumping on benches while holding a Kettlebell over their head, waiting for the inevitable ankle sprain. 1. Nobody ever asks the question: What am I making the body functional for? I do not know about you but in my day-to-day activities, I encounter very few wobble boards to stand on but plenty of instances where I need to squat, lunge or lift something overhead. 2. Proper weight training covers all aspects of “functionality” (to use that dreaded term): Squats, lunges, overhead presses and pull-ups. These four aspects will force you to balance and stabilize while getting you leaner and more flexible at the same time. Huge win in my book. 3. Novelty for the sake of novelty is just non-sense and an excuse to charge exorbitant amounts of money on things that are perhaps new and shiny, but do not produce results.